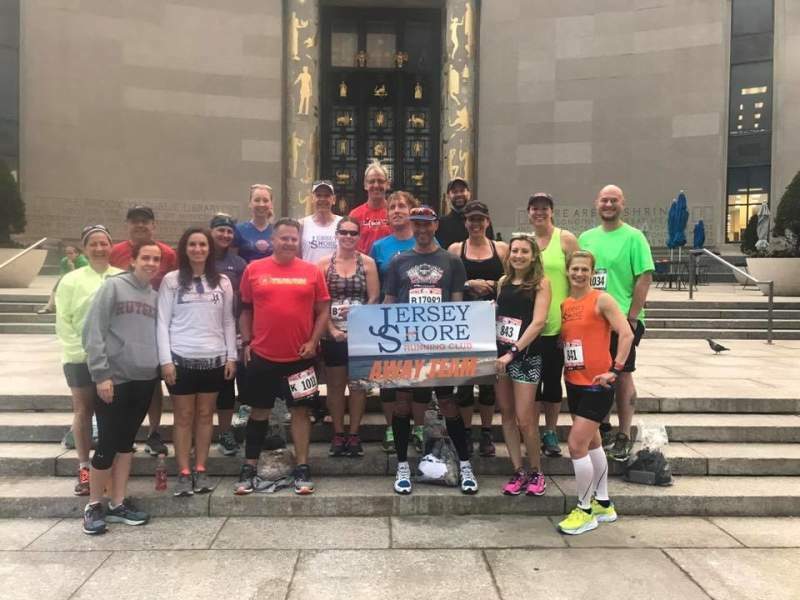 Presented by the Shore Athletic Club, the Jersey Shore Half Marathon has a history that places it as one of the oldest distance events held in New Jersey and the surrounding area. 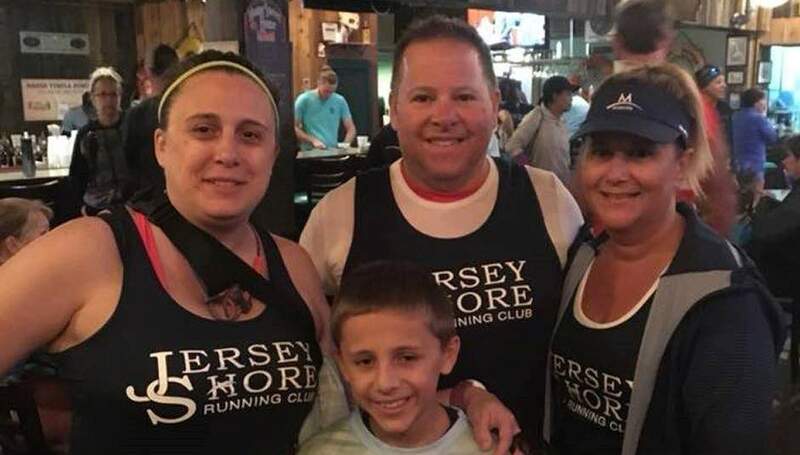 The first Jersey Shore Marathon was held January 9, 1972. 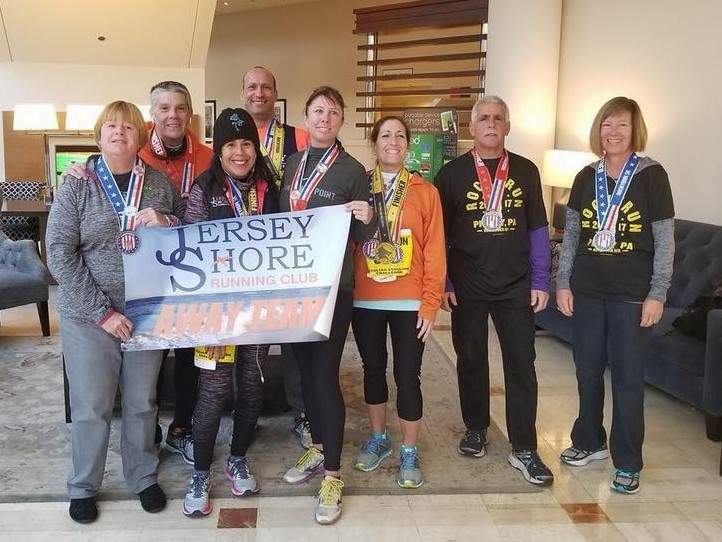 The growth of major fall marathons created a demand for quality half marathon distance races prior to the fall marathons and thus in1986 the Jersey Shore Marathon became the Jersey Shore Half Marathon. 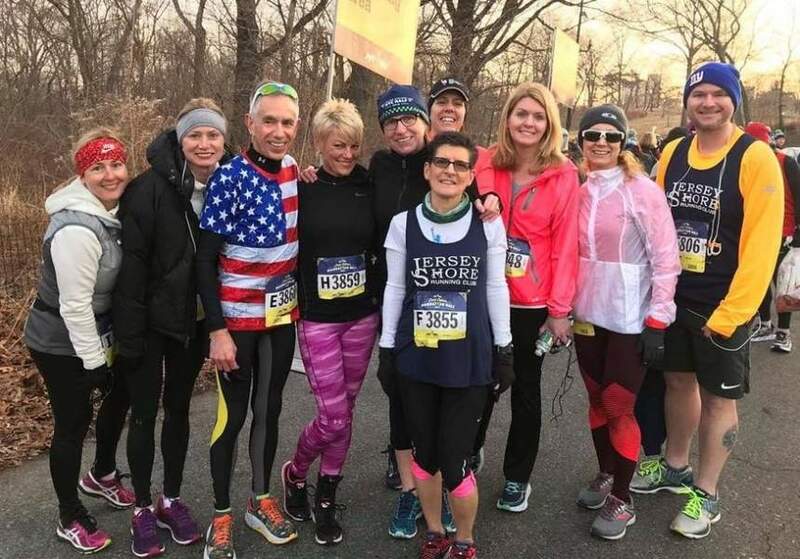 The Jersey Shore Half Marathon continues a great racing tradition established forty six years ago. 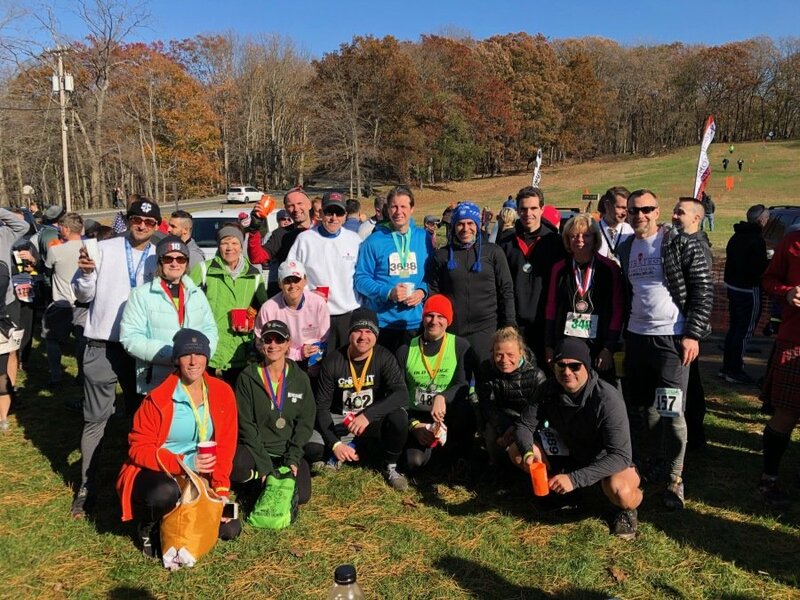 Record Turnout for the 5th Annual Shillelagh 5K in Lake Como on October 13, 2018. 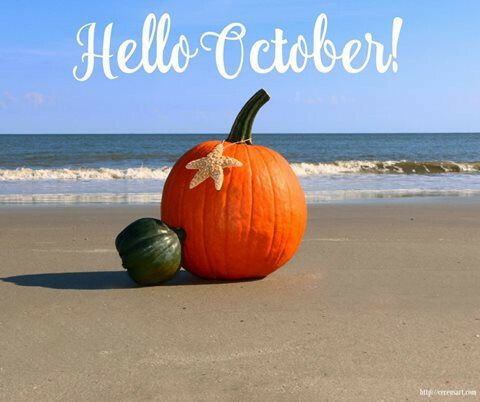 To allow our members to go trick or treating, our October club meeting will be TUESDAY October 30. Mark your calendar! And tune up your voices - there might just be a birthday serenade as well. 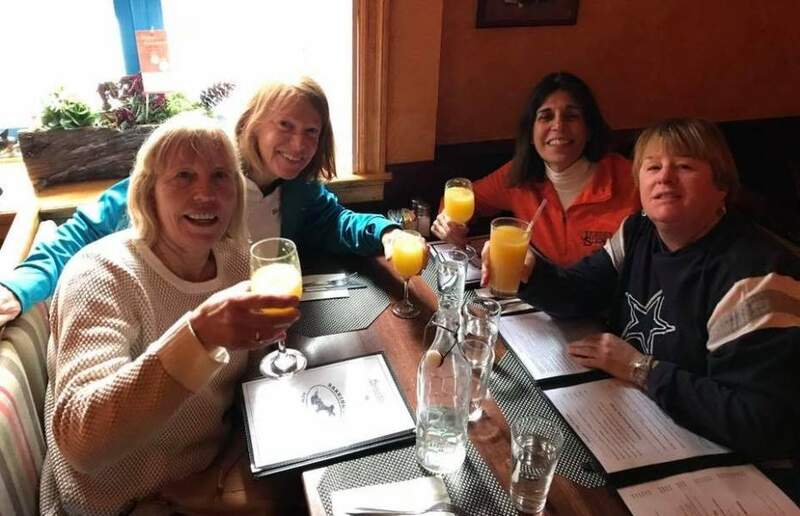 Come to the monthly club meeting! 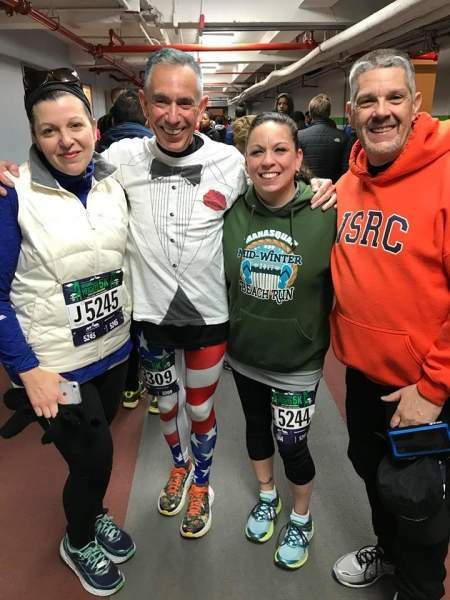 Get ghoulish with club members and hear about past and upcoming races and events. 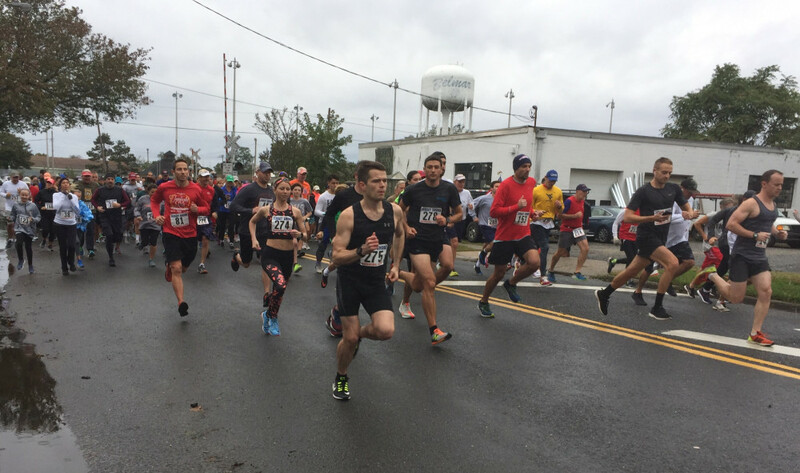 The 25th Anniversary Trick or Trot 4 Mile Race and Pet Walk, hosted by the Jersey Shore Running Club (JSRC) together with the Deal Fire Company #2, is set for Sunday, October 28, 2018, at the Deal Casino in Deal, New Jersey. 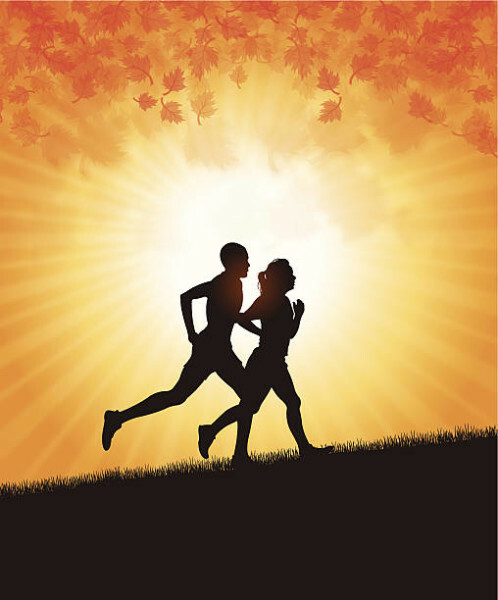 DRY SUNNY WEATHER PROMISED! 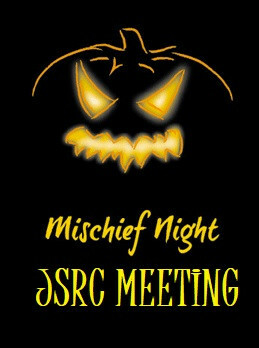 The JSRC wishes everyone a HAPPY HALLOWEEN! 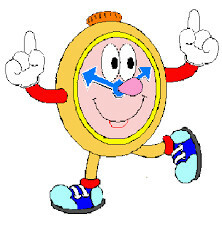 Remember to turn the clocks back one hour: this Sunday, November 4th at 2 am. 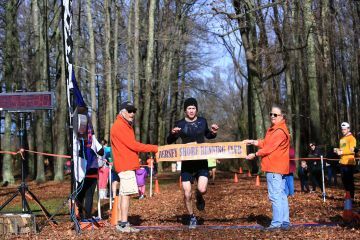 Shore AC Cross Country Series - JSRC is 2nd Overall for the Series! 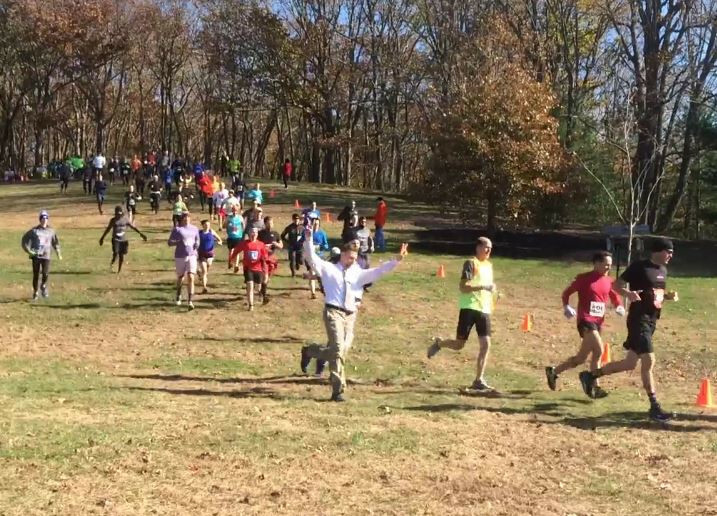 Cross Country wrapped up on November 3 at Holmdel Park. 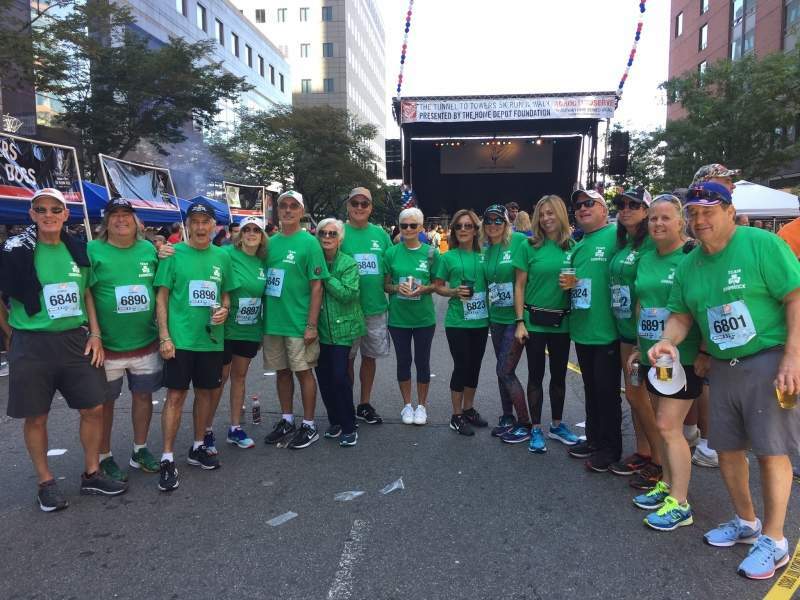 We ran in memory of team mate Bob VanClef, who passed away just after this race 2 years ago. 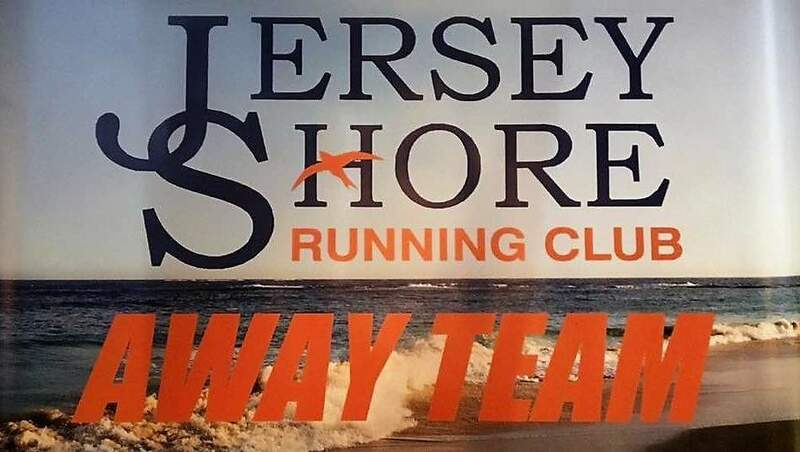 JSRC was the only club to field a team all 6 weeks! They count each teams best 4 races. 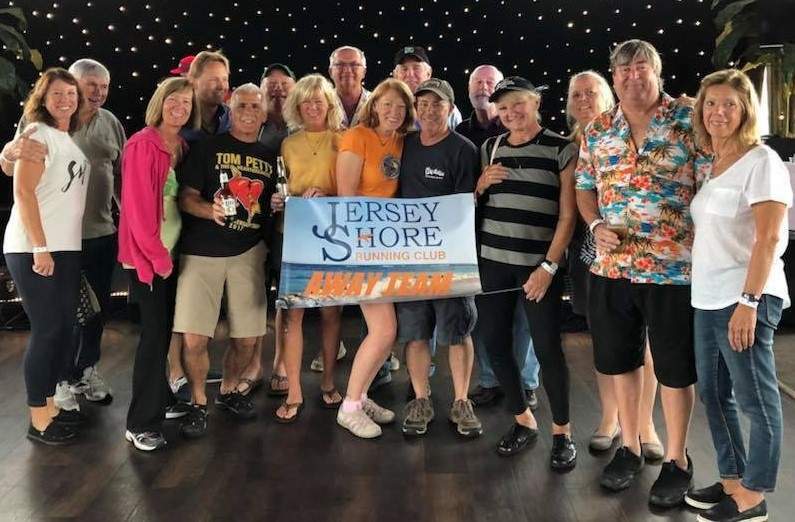 Congratulations to Shore AC who won with 4 firsts. JSRC was a solid 2nd for the series, with a first and 3 seconds. 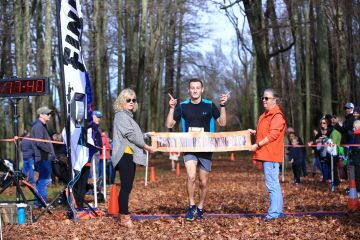 Also congratulations to our age group winners John Gore M50-59, Marylyn Ryder F70-79 and Laura Moetz F50-59! 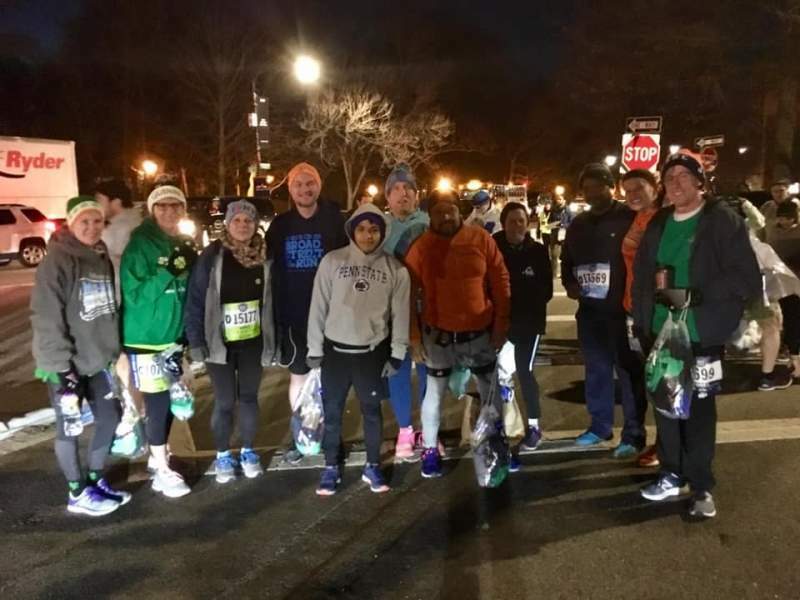 Thanks again to all who came out to run!! Week 3 10/13: Tatum Park (enter off Holland Road). Course map. 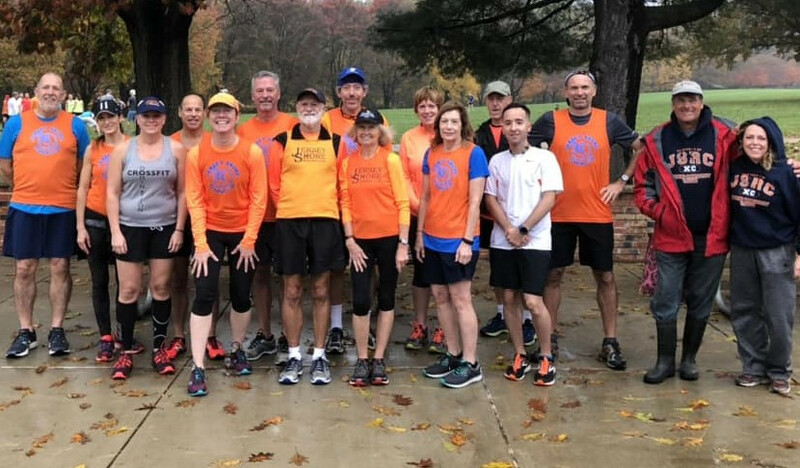 Week 5 10/27: Shark River Park (NEW START LOCATION - Schoolhouse Road). 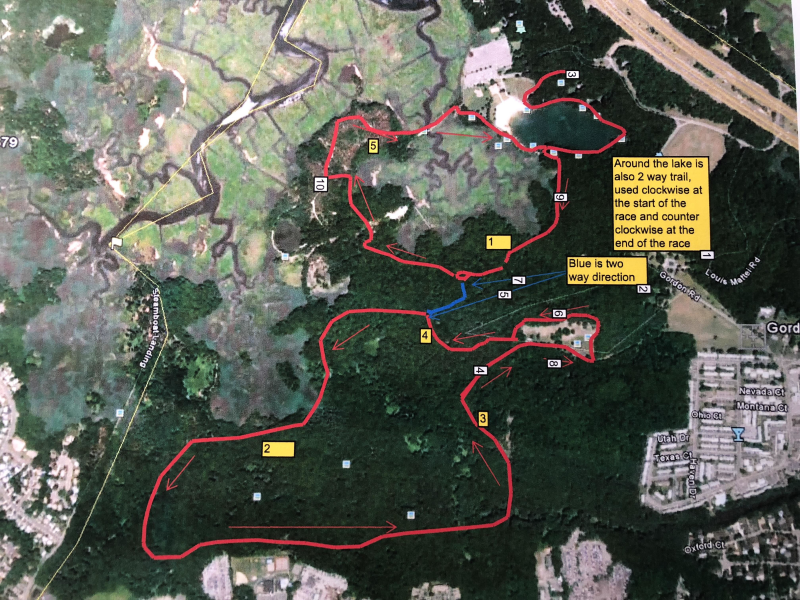 Course map. 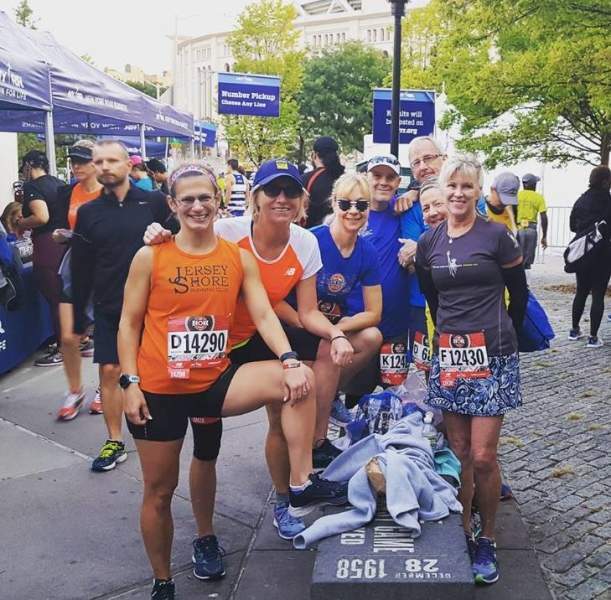 The Fall Marathon Season is here! 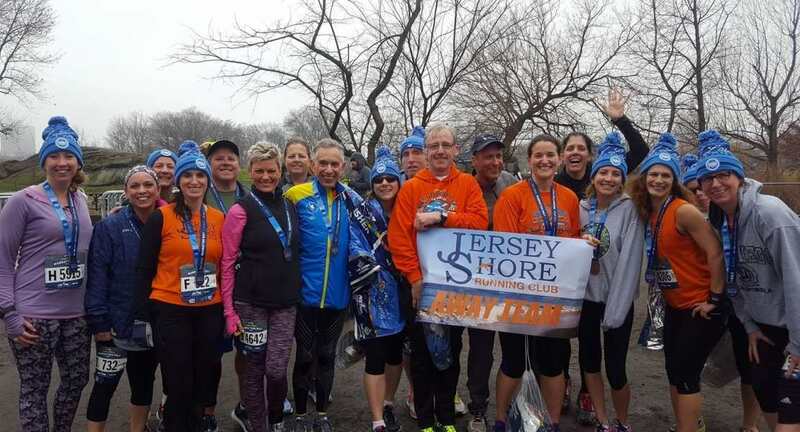 The Jersey Shore Running Club congratulates all of our NYC MARATHONERS this weekend and thanks to our JSRC VOLUNTEERS! 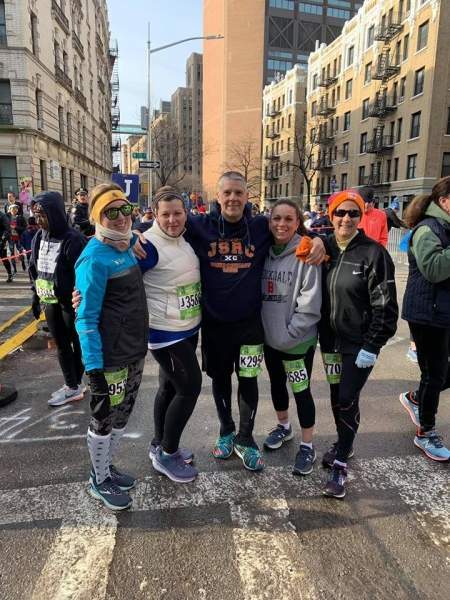 New York was the place to be on Sunday, November 4! 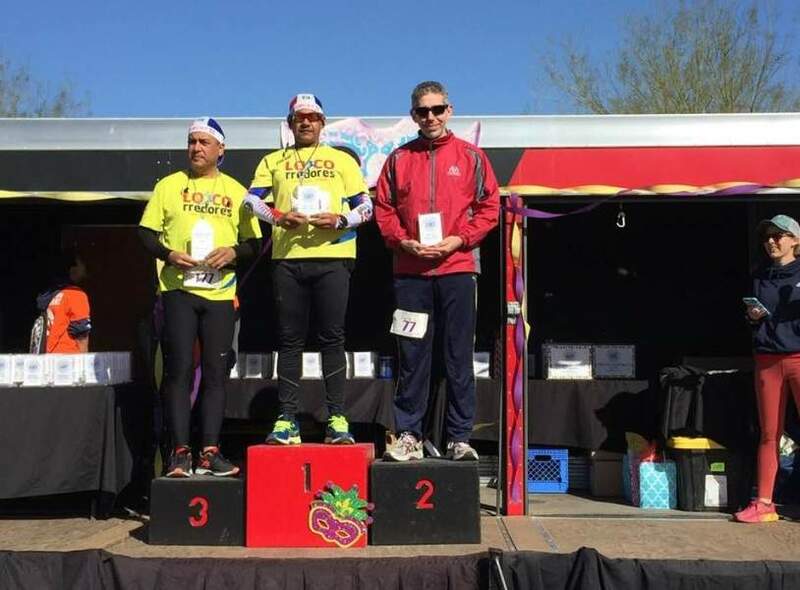 2017 Alejandro Sanchez - 3:10:47, 19354 Ali Infranco Marzulla - 3:45:13, 5340 Jakov Philosof - 3:52:57, 21245 Deborah Alpert - 3:58:47, 43865 Kim Kamilow Luker - 4:04:22, 36034 Michael Cherny - 4:20:52, 23757 Laura Christine - 4:32:56, 33873 Mary O'Brien - 4:33:08, 43494 Sue Patla - 4:34:58, 61222 Megan Geddis Avitto - 4:35:37, 45870 Scott N Karen Kenny (Karen)- 4:38:53, 50785 Kathy Miller Perry - 4:48:31, 40587 Sean Condon - 4:52:39, 31530 Ivone Lopes - 4:54:27, 47395 Michelle Zaccardi Fabio - 4:56:35, 43228 Lydia Breckenridge - 4:59:15, 25194 Brian Borden - 4:59:28, 46403 Joanne Cowen Toomey - 5:01:00, 18555 Eduardo Menezes - 5:06:32, 37838 Jennifer Morganti - 5:07:03, 50456 Debbie Weinberger DeFrancesco - 5:11:20, 48787 Michele Marrucca - 5:36:53, 48638 Jimmy Chichelo - 5:40:05, 57601 Julia Boese Kevin Gencsy (Julia) - 6:01:41, 67723 Stephanie Burke - 6:01:43, 68141 Meg Ghf - 6:06:34, 67524 Jennifer O'Hara Herrick - 6:10:27, 46295 Mike Relli - 6:34:57, 68001 Dawn Relli - 6:34:58, 63088 Joseph Iovellii - 6:56:07, 66912 Maureen Elizabeth - 7:19:51. 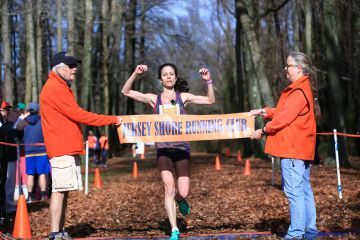 New stock of Men's and Women's singlets are available in white, orange and navy. 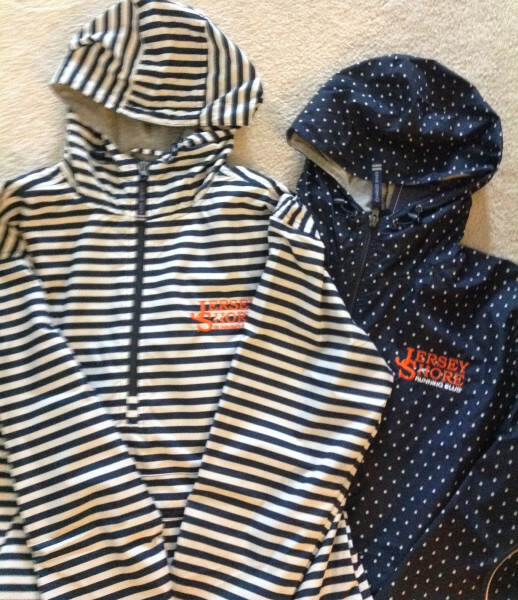 Our popular Women's Anorak is also back on stock - striped or polka dot (both are navy/white). Your chance to look sharp! 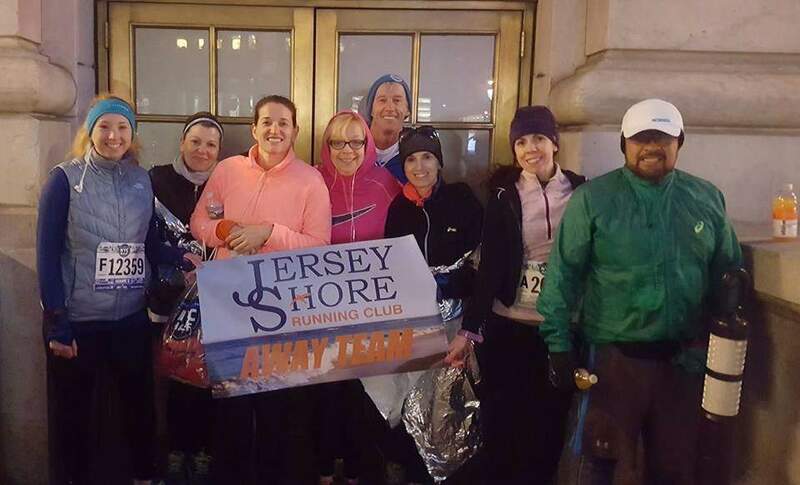 The Thursday Night Run will meet in Asbury Park until further notice. 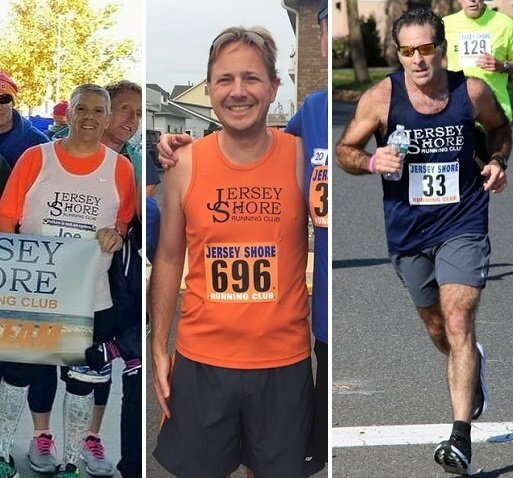 Due to a policy change in Belmar, the JSRC Thursday Night Run no longer has access to Taylor Pavilion. 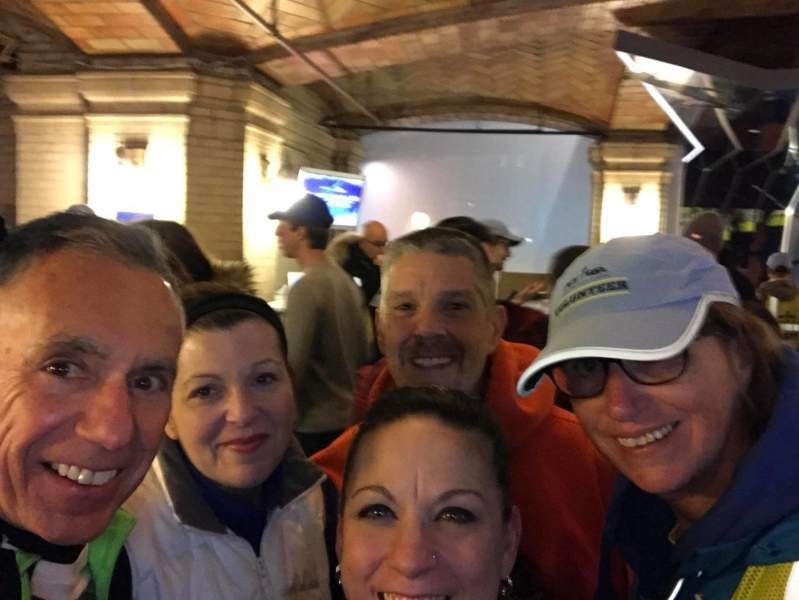 Starting Thursday, November 15, we will meet at Convention Hall in Asbury Park. Park in the lot behind The Wonder Bar. Registration will be open until train is full. 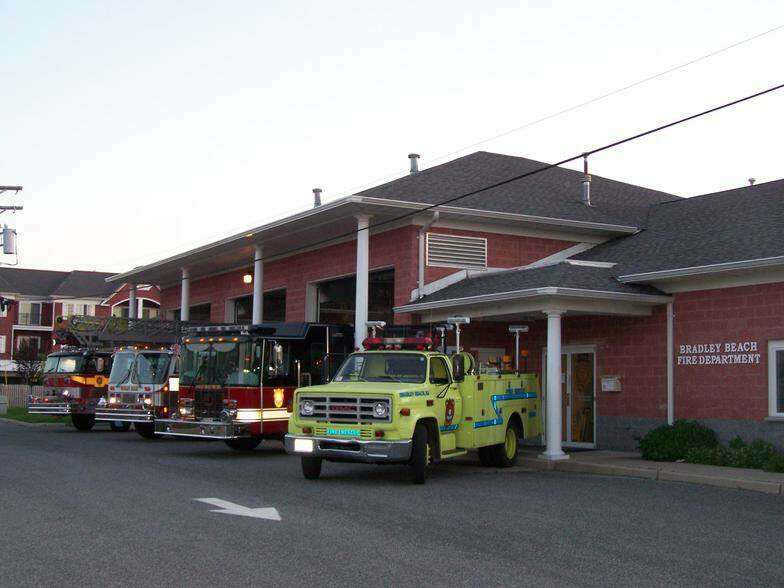 Day of Registration available for $25 no shirt and train ticket while they last, After that have to buy at station. 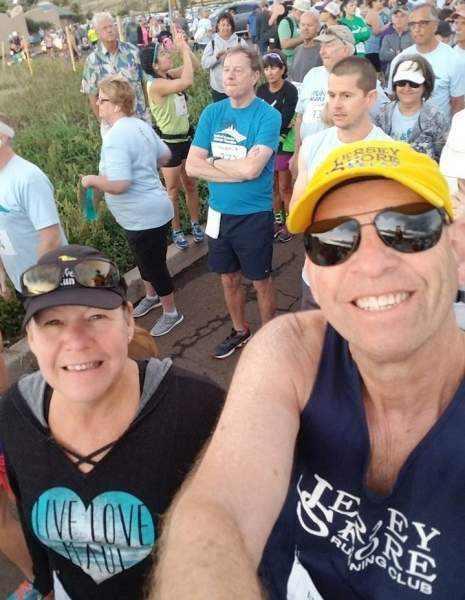 Make Race Day Checks out to JSRC or please have exact change in cash. 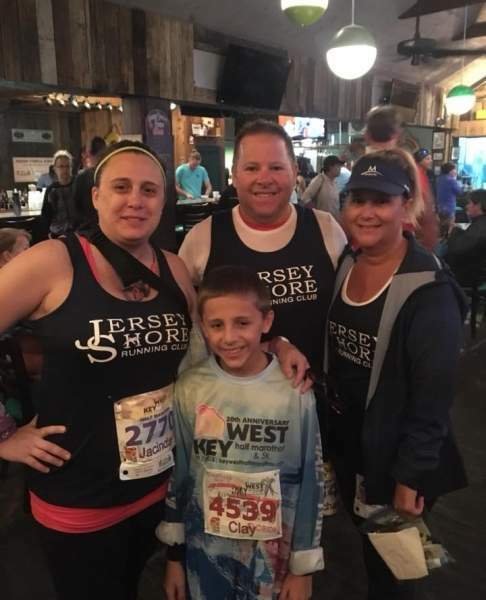 Take the Train from Asbury Park then run back along the Boardwalks to Johnny Mac House of Spirits – 1 to 6 + Miles. Lots of Costume and Random Prizes. 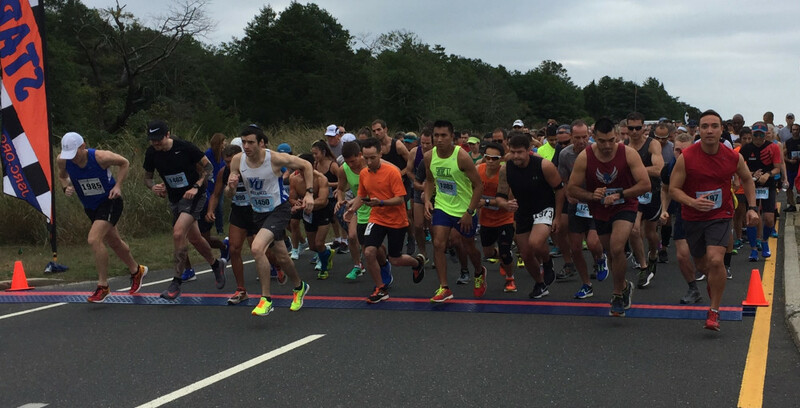 The HASHaTHON - The NJ 6-Mile Trail Race Classic! 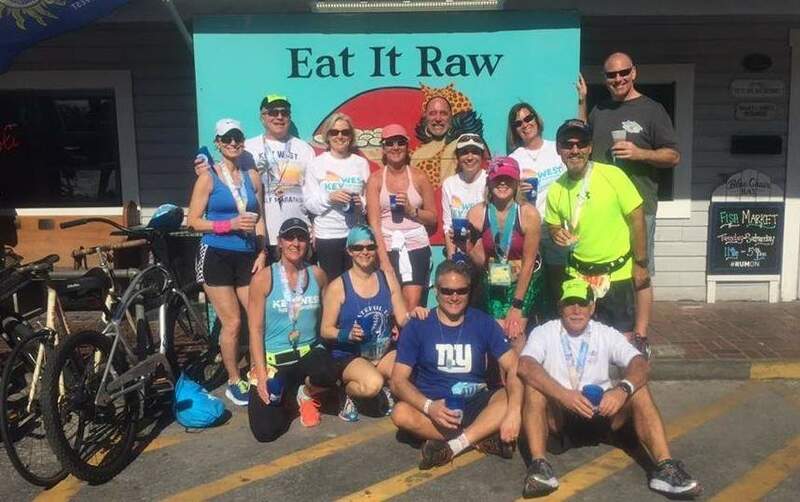 Congratulations to participants at the 2018 Hashathon. 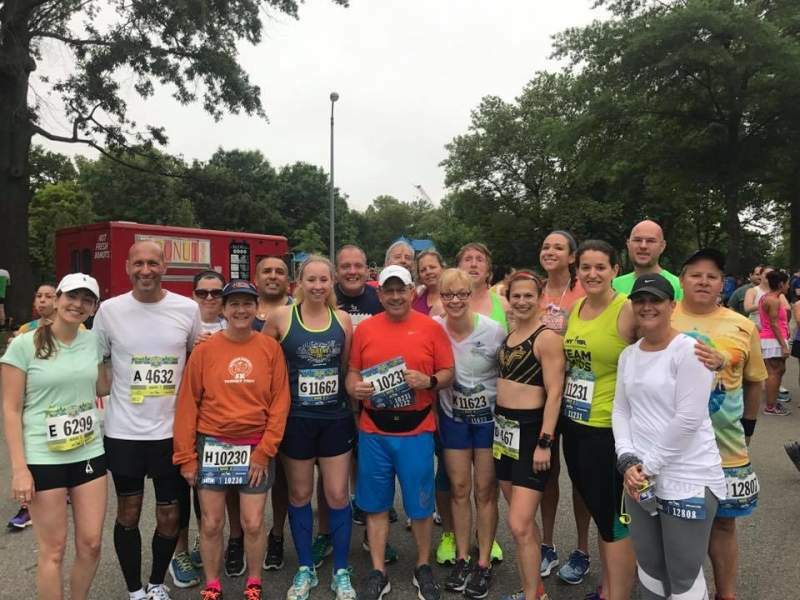 The scenic course in Cheesequake Park encompasses winding wooded trails, gullies, footbridges, streams, mud, fallen trees, leaves, varmints, and several eco-systems; running through cedar forest & beautiful wetlands. 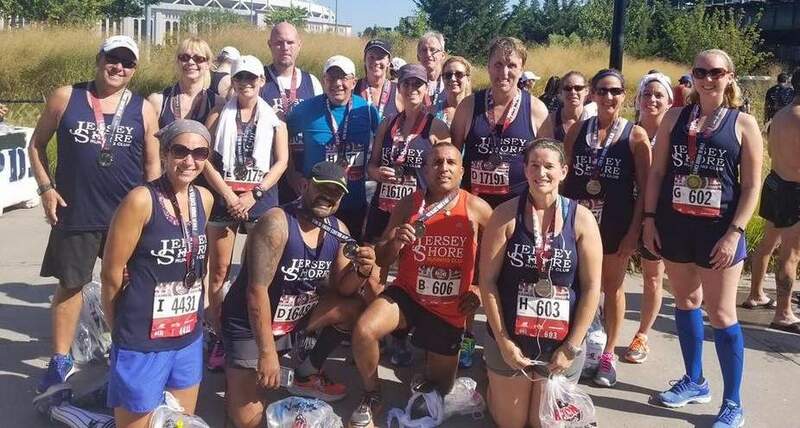 It is tough, challenging and hilly, but (most) everyone finishes intact. 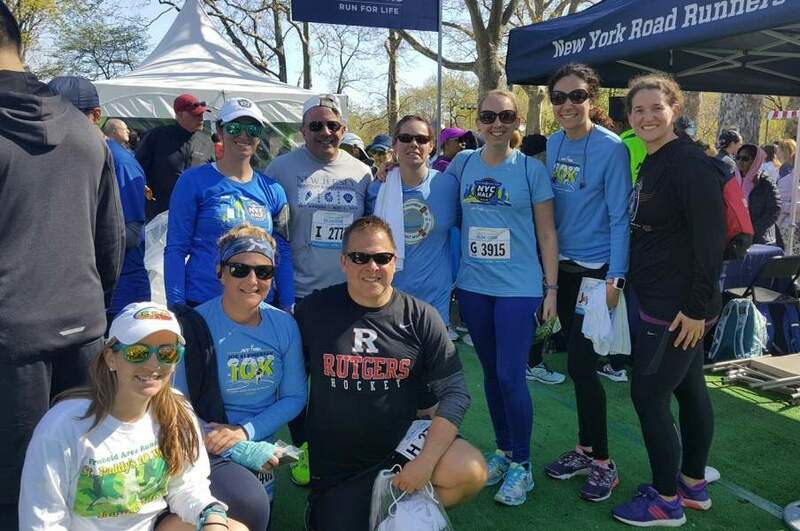 Thanks to ALL Volunteers - and special thanks to Old Bridge Road Runners for all their help with the trail, etc for this year's Hashathon. 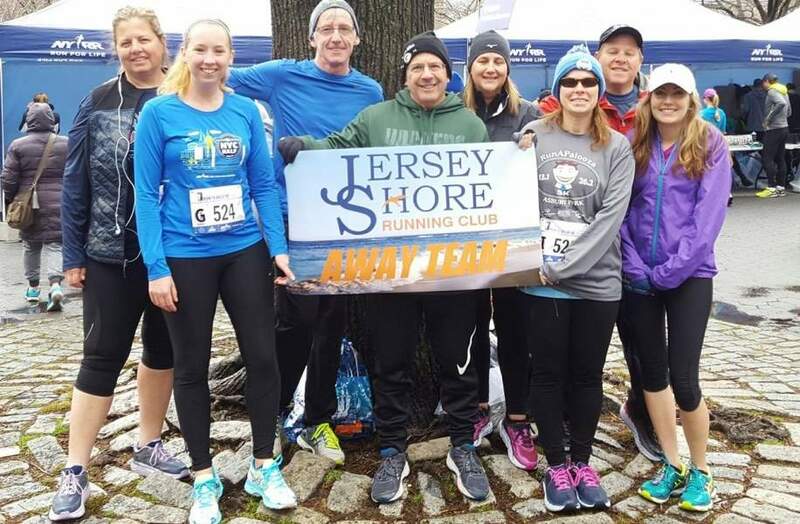 As with every JSRC race, HASHaTHON supports our Monmouth County Community. Beneficiaries are the Blessing Bag Brigade and St. Luke's Community Dinner. 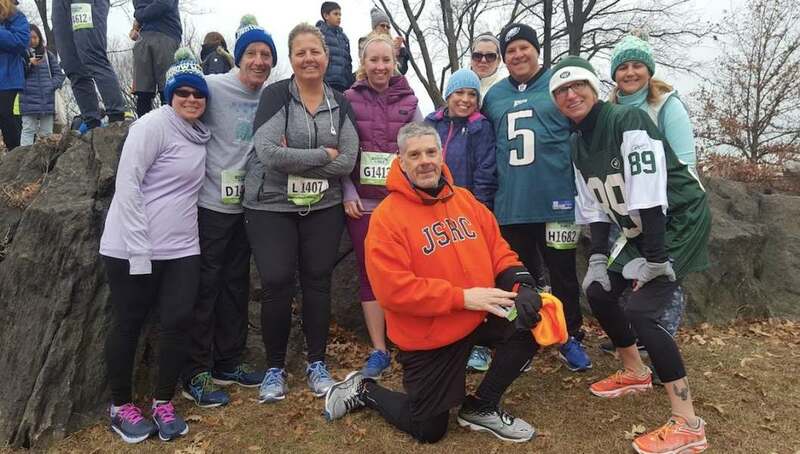 The JSRC is thankful for all our members, volunteers, fellow runners, race partners & sponsors, and their families!! 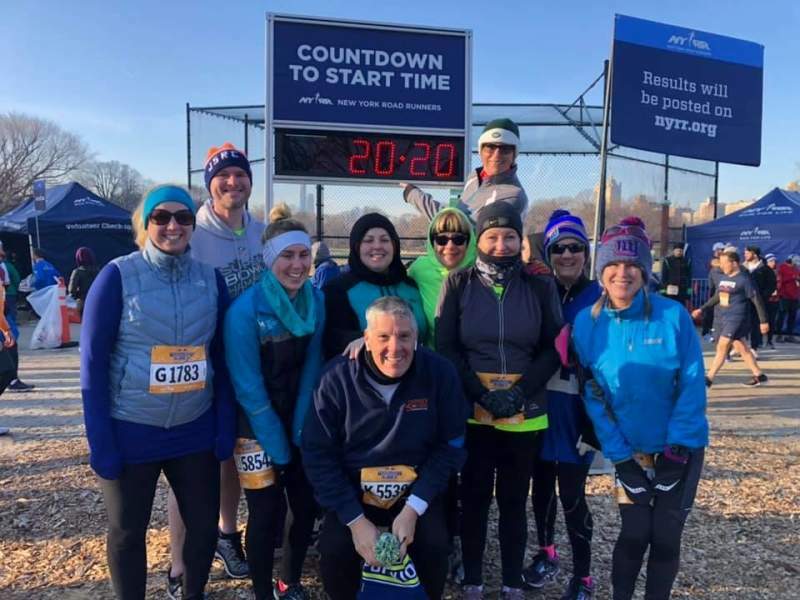 Congratulations to all 2018 Turkey Run participants! 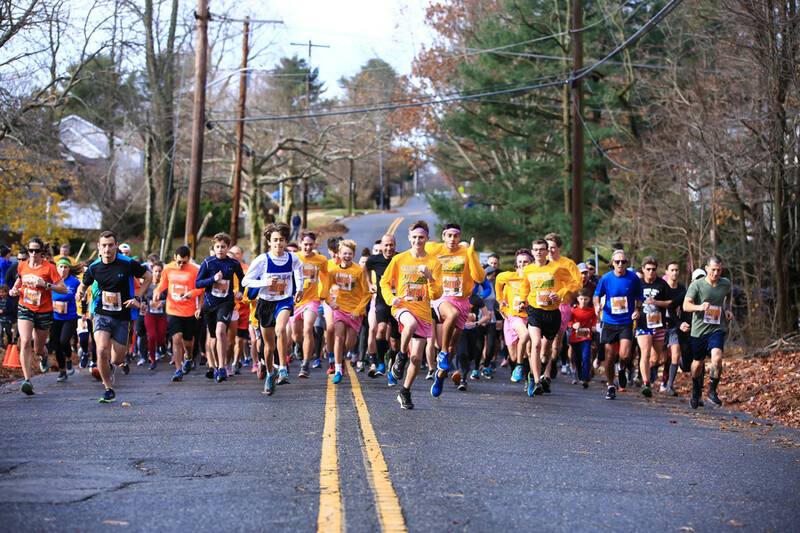 The 2018 Manasquan Turkey Run was held on Saturday, November 17, with 2,300 participants between the Five Mile and One Mile events. 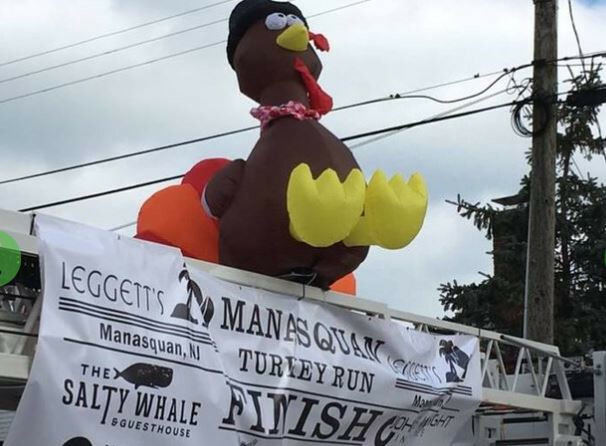 Please note that the Manasquan Turkey Run, like all past year Turkey Trots, does not compile complete results. 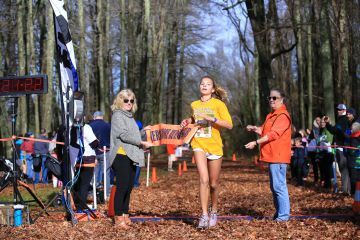 Top Finishers Lists HERE. Photos will be posted soon HERE. 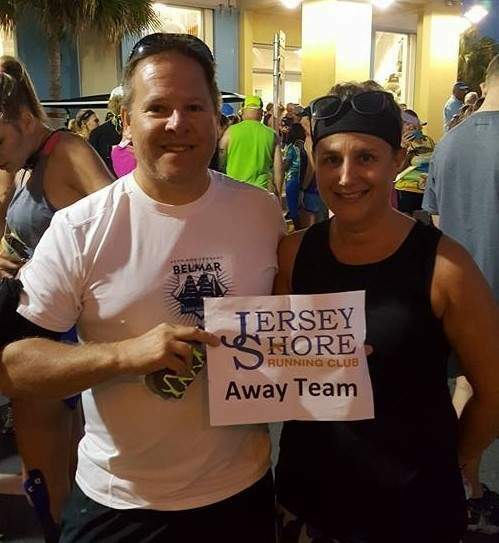 Congratulations to winners Jack Fitzhenry and Beth Marzigliano. 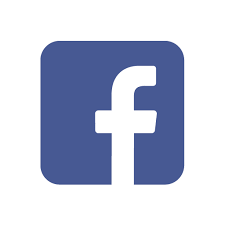 Come for the fun, news and pizza! 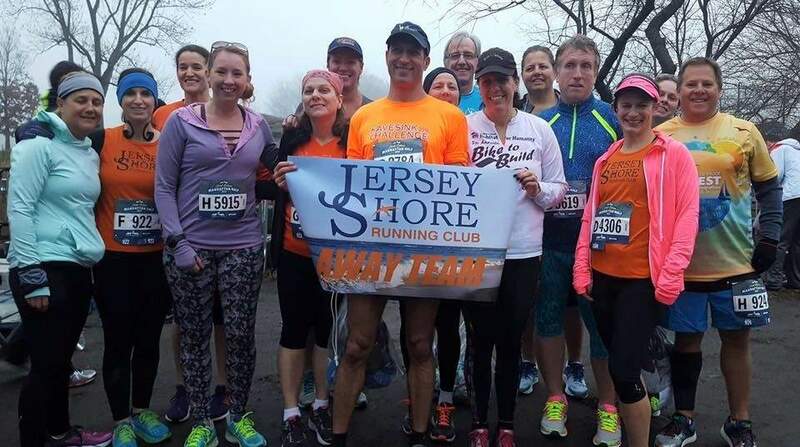 Chat with club members and hear about past and upcoming races, events and share a great time! 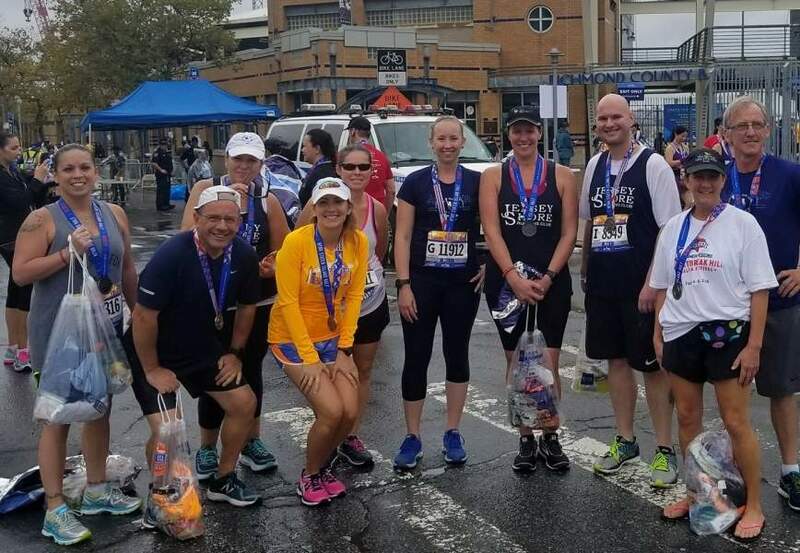 If you want to become more active in your club, now's the time to speak up. 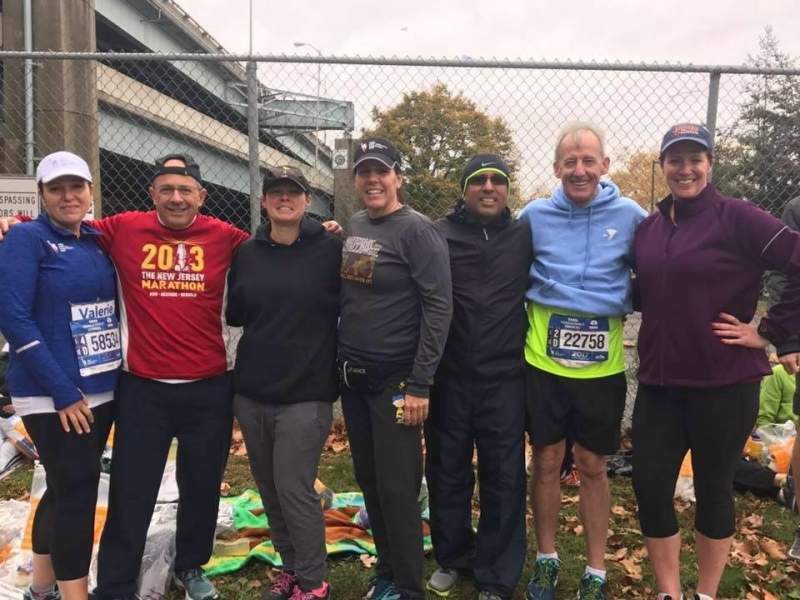 ADOPT-A-FAMILY DONATION CHALLENGE: JSRC Member John O'Gorman has offered to match $400 IF MEMBERS DONATE $400 at the running club meeting on November 27th - WHICH JUST HAPPENS TO BE GIVING TUESDAY! 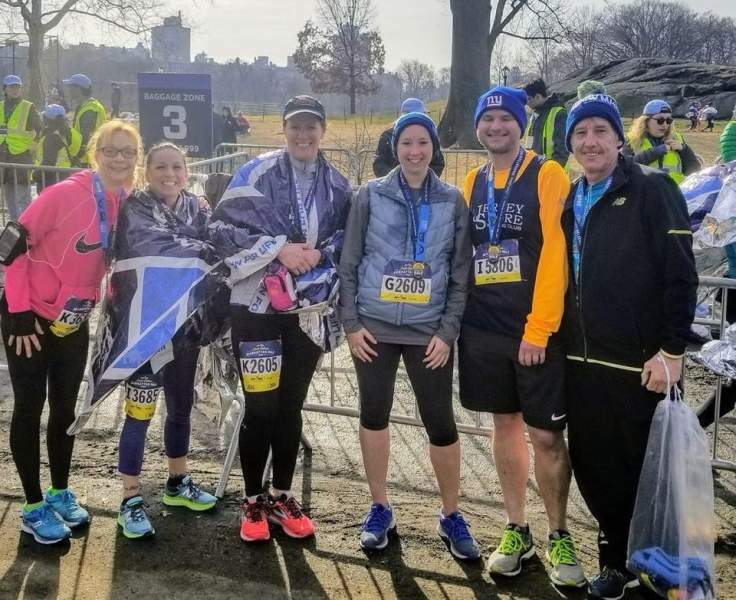 HASHATHON APPRECIATION "FIVE AND TEN" SALE: Limited Edition items will be available AT OUR COST: Hashathon gloves, caps, hats, and headbands for ONLY FIVE DOLLARS and sweatshirts and long sleeve shirts for TEN DOLLARS. Will Black Friday never end??? NOT HERE! 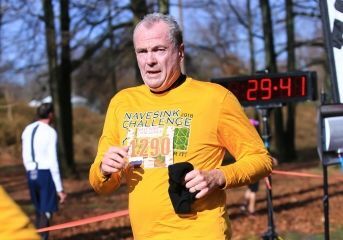 Navesink - Perfect Weather for a Challenge! 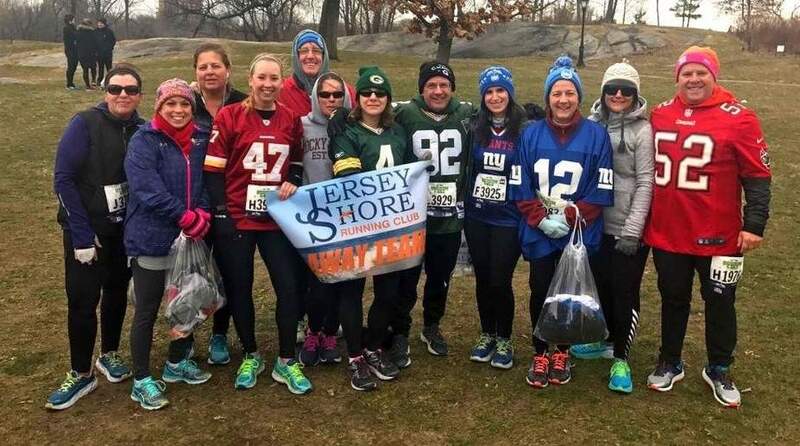 The Navesink Challenge - another great race day on Sunday, November 25! 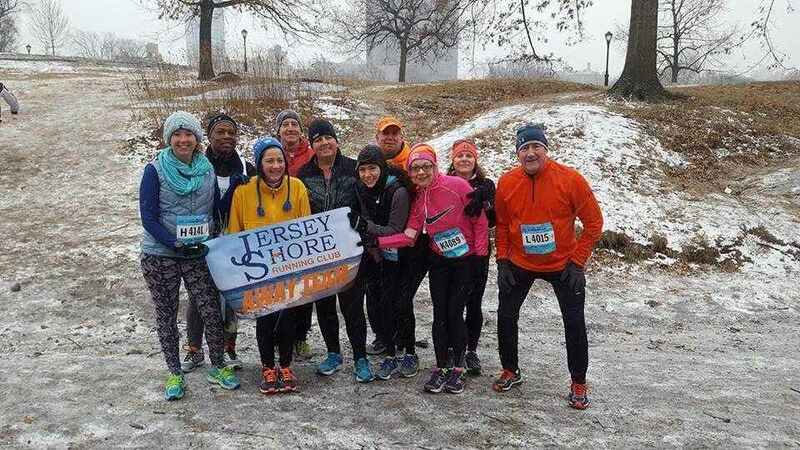 The Jersey Shore Running Club wishes a prosperous 2019 to the running community! 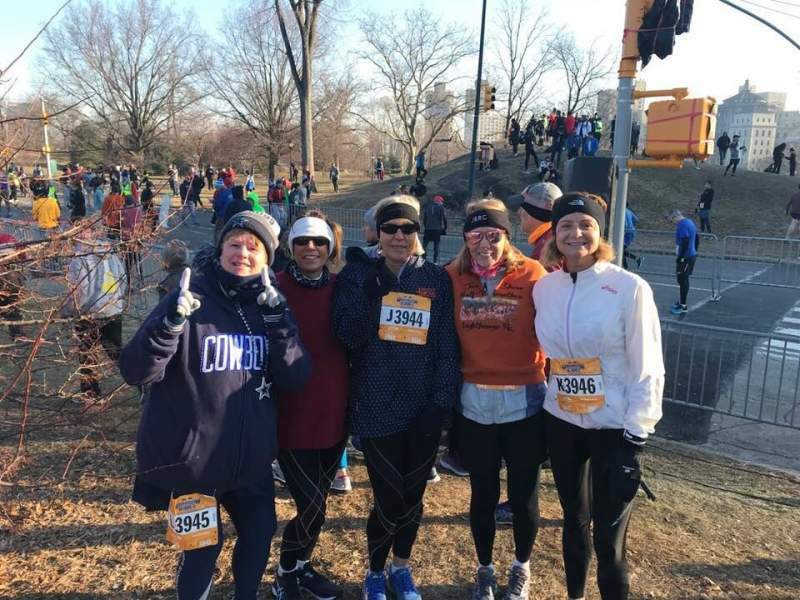 Make Your New Year's Resolution Now! 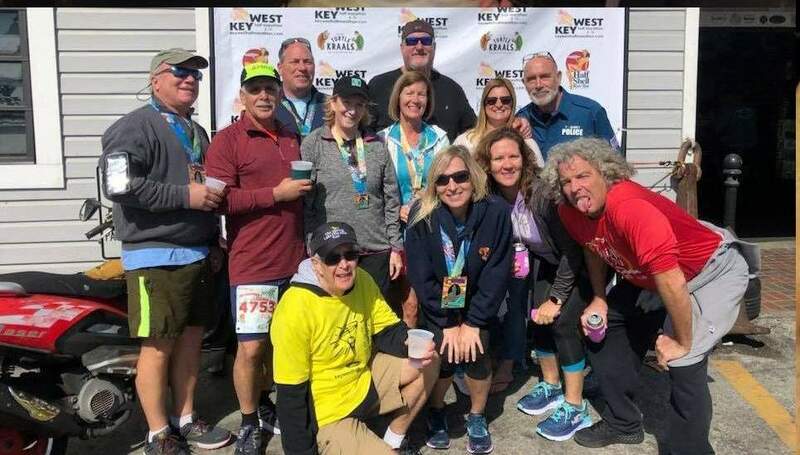 RACE DAY REGISTRATION OPENS 2:30 PM, fee $30, shirts "while they last"
New Year's Day only - register for the May 18 Spring into Summer 5K for only $16. 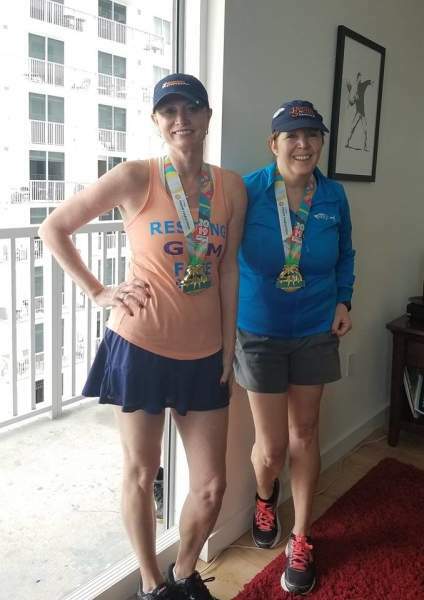 Registration is open for a ONE DAY flash sale of $16.00 to celebrate our 16th year!!! 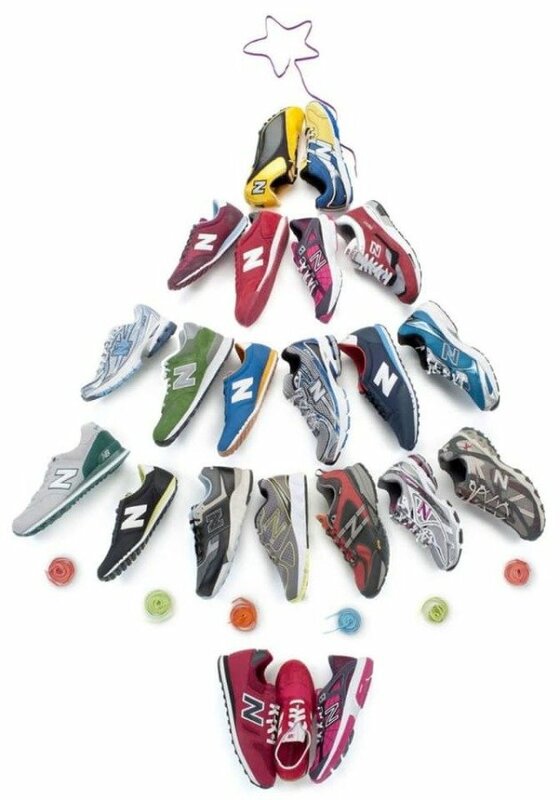 We wish everyone and their families a very Merry Christmas!! Monday, December 24 | 8am. 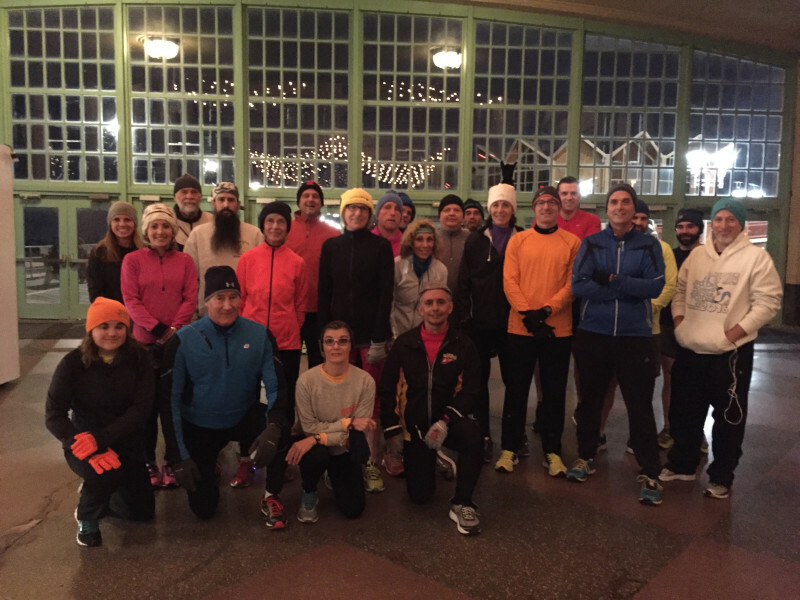 Join fellow JSRC members and start your holiday off right with a 5-mile run. 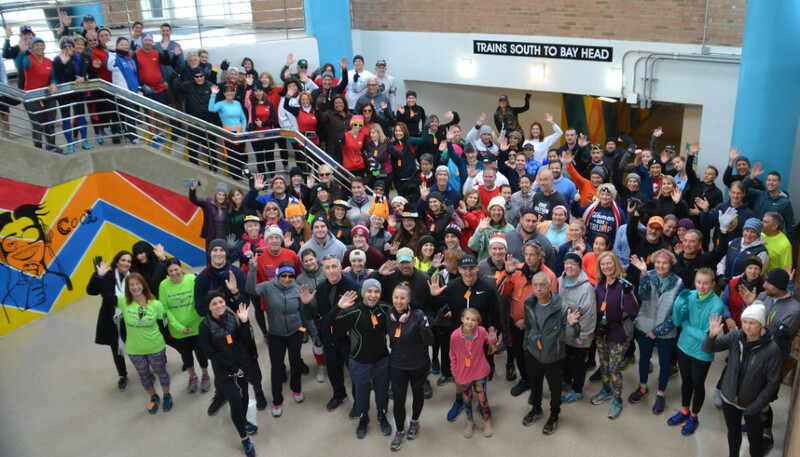 2018 JSRC Adopt A Family. 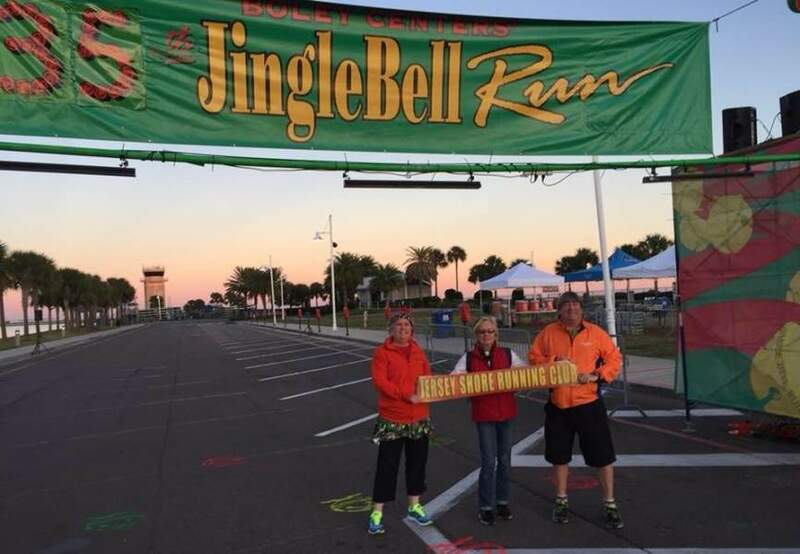 This year we will support six families this holiday season.The JSRC matched contributions up to a total of $1000. 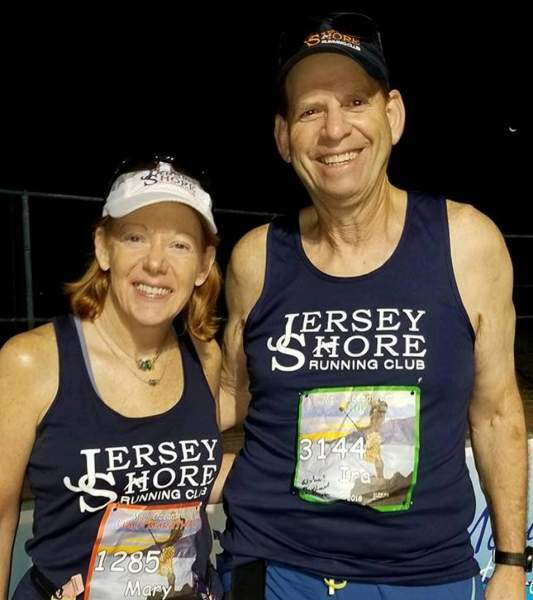 PLUS - JSRC Member John O'Gorman offered to match $400 in member donations at the running club meeting on November 27th. The annual gift-wrapping was held on Monday. December 17th. 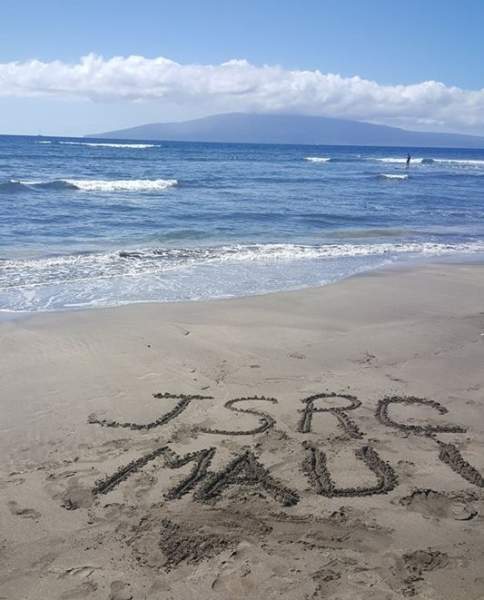 Nominations for the 2019-2021 JSRC Board are STILL OPEN! 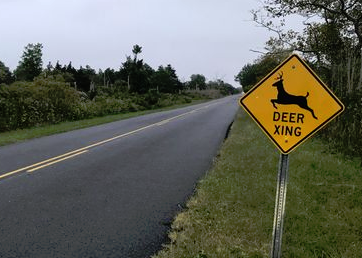 You can submit nominations through 12/15. 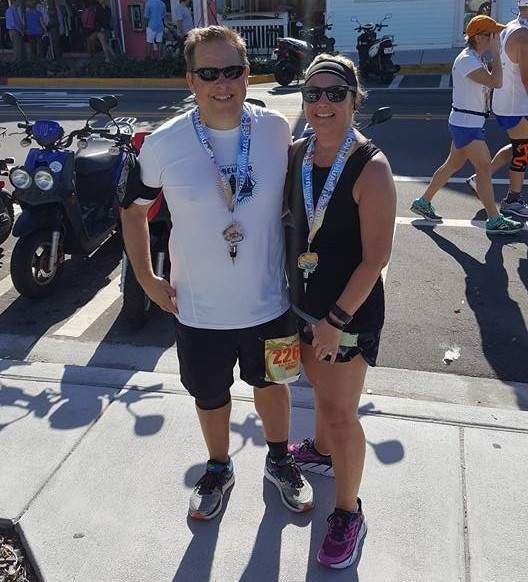 Go to https://register.jsrc.org/nominations to see position descriptions and current nominees.